Congratulations on taking your next giant stride into the aquatic realm! 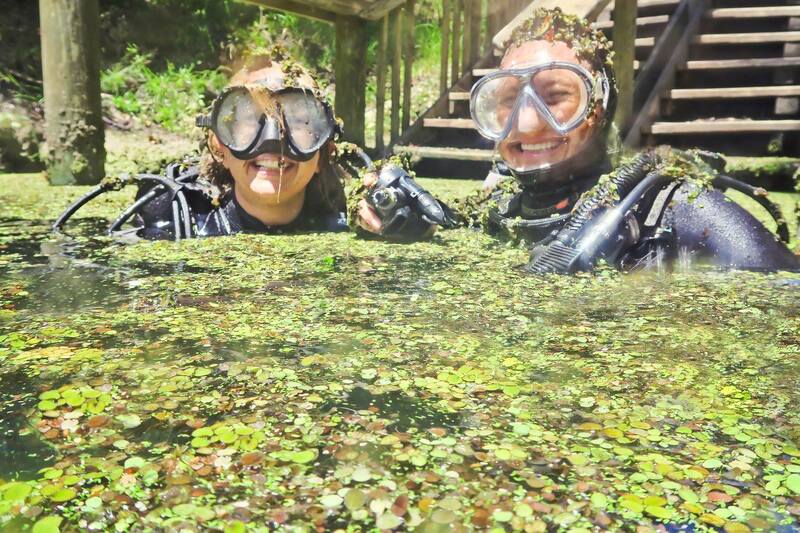 In your Advanced Open Water course, you will learn how to think like a diver – incorporating multitasking, situational awareness, planning more challenging and complex diving and obtaining self-reliance. 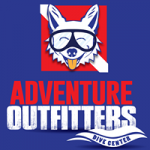 During this course, you will execute five specialty dives for your certification. Below we have listed our most popular specialties – we customize each of our Advanced Courses for all students, if you are interested in a particular specialty, please contact us and we will do our best to accommodate you! Deep Diver and Underwater Navigator are the two required dives. These skills are extremely important and useful. With Deep Diving you will be able to complete recreational dives up to 100 feet and this will enable you to dive more places. Underwater Navigator allows you to comfortably and knowledgably use a compass to know where you are and where you are going underwater. Search & Recovery is very compatible with Underwater Navigator. This skill teaches various search patterns to find objects and / or people. You will also learn how to use a lift bag to bring items to the surface including anchors, lost scuba equipment and more. You will learn how to use a reel and knot typing techniques as well. 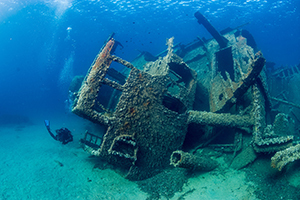 Peak Performance Buoyancy is extremely valuable to an advanced diver. 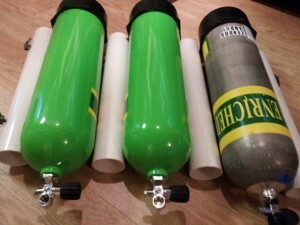 If you want to have more bottom time, being property weighted, having efficient fin techniques, hovering and breathing skills give you ability to use your air more efficiently, stay off the bottom, inflate / deflate less and have a more relaxed dive. For this dive, we will go over all of these techniques. Additional Specialties: If you wish to pursue other dive specialties other than the ones listed above, let us know! Many specialties are available to choose from including: Wreck Diver, Boat Diver, Night Diver, Dive Against Debris, Fish Identification, Drift Diver, Drysuit Diver, Digital Underwater Imaging, Nitrox / Enriched Air, Shark Conservation, Delayed Surface Marker Buoy Diving, Cavern, Sidemount Diver and Full Face Mask. 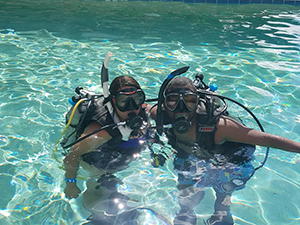 Optional Enriched Air / Nitrox Course: To help our students continue their diving education, we offer a discounted rate for taking the Enriched Air course during your Advanced Course. The most popular specialty class, Enriched Air Diver is 50 % off when taken with the Advanced Open Water Course. Purchase the study materials prior to your AOW class and read and complete the knowledge reviews along with your AOW course material. Select either e-learning or classroom for your independent study. E-learning replaces the manual and classroom session. If you choose the classroom session, simply read five specialty chapters in your Adventures in Diving Manual and complete the knowledge reviews at the end of each chapter. When you arrive at the dive site before each specialty, we will review each knowledge review. No quizzes or tests are required for this certification. The book is also an extremely handy reference for future dives and classes. Prior to the course, you are required to fill out a PADI Continuing Education Administrative Document. If you answer “yes” to any item on medical statement form, please let us know ahead of time and we will email you an additional physician form which your doctor will need to complete and sign verifying you are medically fit to dive. This is a standard form that doctors will usually fill out if they know your medical history and email / fax back to you.